To celebrate the 50th anniversary of the Marblehead Festival of the Arts, the organizers of the festival distributed 50 wooden pallets in the shape of a cod to local artists. The artists were then invited to decorate those cods in any way they chose, using any medium. The results are 50 unique art objects to be auctioned off through an online site. The sale will continue until the end of the festival on July 5. All the money earned from the sale will be dedicated to the support of more art programming in the future, as well as to scholarships. “The response from the local arts community to join in the celebration has been amazing,” comments Tammy Picone Nohelty, co-chair of the event. All the cods are finished and the public is invited to view and bid on the results in two possible ways. Those in Marblehead can take a walk in downtown Marblehead and look for the cods on display in the windows of local merchants. 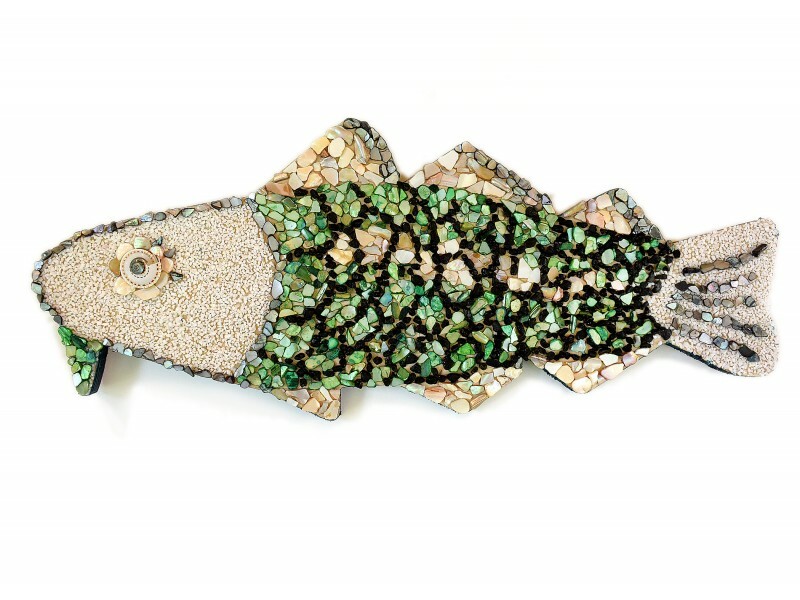 Be sure to look for the cods along Atlantic Avenue, Pleasant Street and Washington Street where the cods represent a partnership between the Marblehead arts community and the town’s business community. Each cod bares a QR code which can be scanned with a smartphone or tablet. The code will take the user to the on-line auction where the user can bid immediately on the cod of choice. Not in Marblehead for the festival? Its not a problem. Just go and visit the website Fifty Cods for Fifty Festivals. Each piece has its own page where you will see a photo of the cod together with information about the artist who created it plus information about the business in which the cod is displayed. 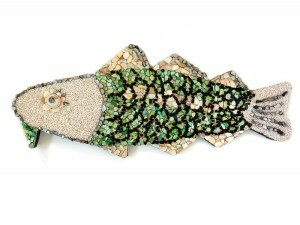 “We are so excited to be able to share this diverse artwork, and we encourage people to see these decorated cods and participate in the on-line auction”, states Mary Alice Alexander, co-chair of the event.